Compatible with smartphone, tablet or PC for sharing or private listening with a 3.5 mm audio connector. Enjoy the spacious stereo sound of the affordable HP 2.1 Speaker System S7000. 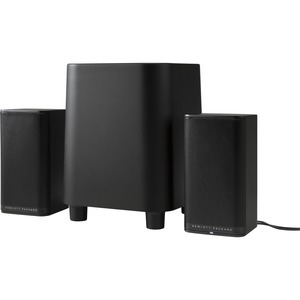 The subwoofer enhances the bass from your smartphone, PC or notebook.